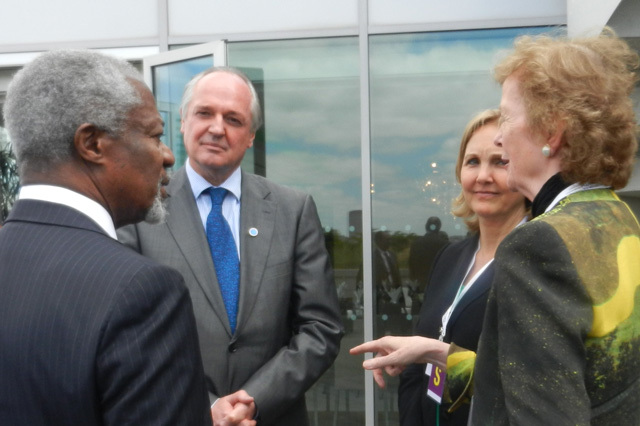 Mary Robinson was at the ‘Promoting African Agriculture – The New Alliance for Food Security and Nutrition’ event, with (l-r): Kofi Annan, former UN Secretary General, Paul Polman, CEO, Unilever and Josette Sheeran, Vice-Chair, World Economic Forum. At ‘Nutrition for Growth: Beating Hunger through Business and Science’, a ‘Global Nutrition for Growth Compact’ was signed by participants – among them leaders of developing and developed nations, businesses, scientific bodies and civil society groups. Mary Robinson was in London on Saturday, June 8, to take part in a high-level summit dealing with global nutrition and food security. Mrs Robinson, who spoke at the closing event: ‘Promoting African Agriculture – The New Alliance for Food Security and Nutrition’, said the world cannot treat nutrition as a stand-alone issue, adding that we must address impacts of climate change on food and nutrition security. Mrs Robinson also referred to April’s Hunger – Nutrition – Climate Justice Conference, which saw more than 300 delegates, including 100 representatives from grassroots communities, come together in Dublin to participate in a respectful dialogue. Delegates listened and learned from each other about the effects climate change has on the ability of the poorest and most vulnerable to provide food and nutrients for them and their families. You can read the interactive Conference Report from Hunger – Nutrition – Climate Justice here. Echoing Mrs Robinson’s comments, HE Joyce Banda, President of Malawi, stressed her concern that the impact of climate change on food and nutrition security had not been met. ‘Nutrition for Growth’ was co-hosted by the UK Government, the Children’s Investment Fund Foundation and the Government of Brazil. The event was held in tandem with the UK’s hosting of the 2013 G8 Summit, to be held in Fermanagh, Northern Ireland, later this month. Among the items on the agenda of the conference of world leaders is Food Security. 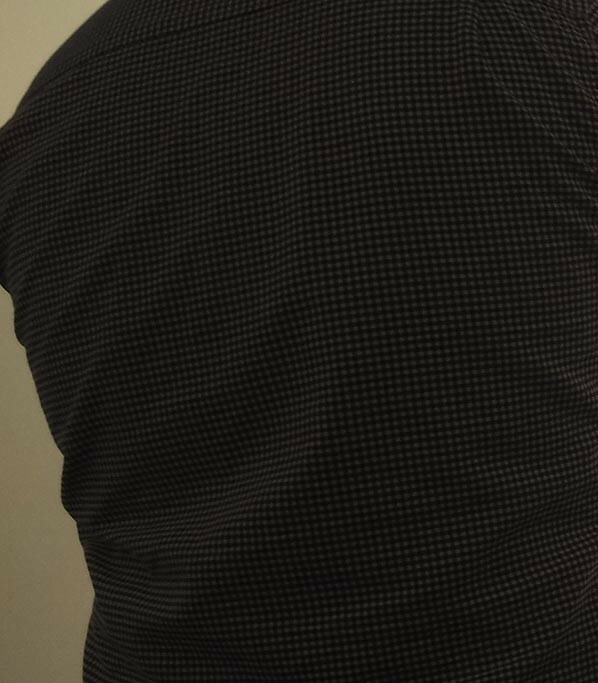 Security Nutrition for Growth – Final Commitments Summary.